We are open from 8am until 6pm for the ages of 6 months to 5 years. 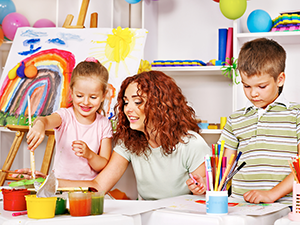 At Chestnut House Kindergarten our aim is to provide your child with the best possible childcare and start to their early years education in a safe and secure environment. Particular emphasis is placed upon a child’s personal and social development that recognises and respects each child as an individual while at the same time promoting awareness of others through a variety of shared activities. At all times the safety of the children in our care is of paramount importance and the activities that the children are involved in during the day are designed with this in mind. Our team at Chestnut House Kindergarten are chosen because of their professionalism, experience in working with children and caring attitude. Our policies and procedures are based on the Early Years Foundation Stage as are the activities that the children follow. Our pre-school children follow the Letters and Sounds approach in developing their speech and language skills. At Chestnut House Kindergarten we believe that young children thrive where there is a positive partnership between the childcare provider and parents. This partnership is characterised by trust and mutual support and parents are encouraged to discuss their child’s progress with our team. Chestnut House Kindergarten is proud of the fact that Ofsted assessed the standard of childcare and early years education which we provide to be outstanding in each of the areas that they look at. Our team is dedicated to the welfare and development of each child, and continuously reviews how outcomes for the children in our care can be improved.